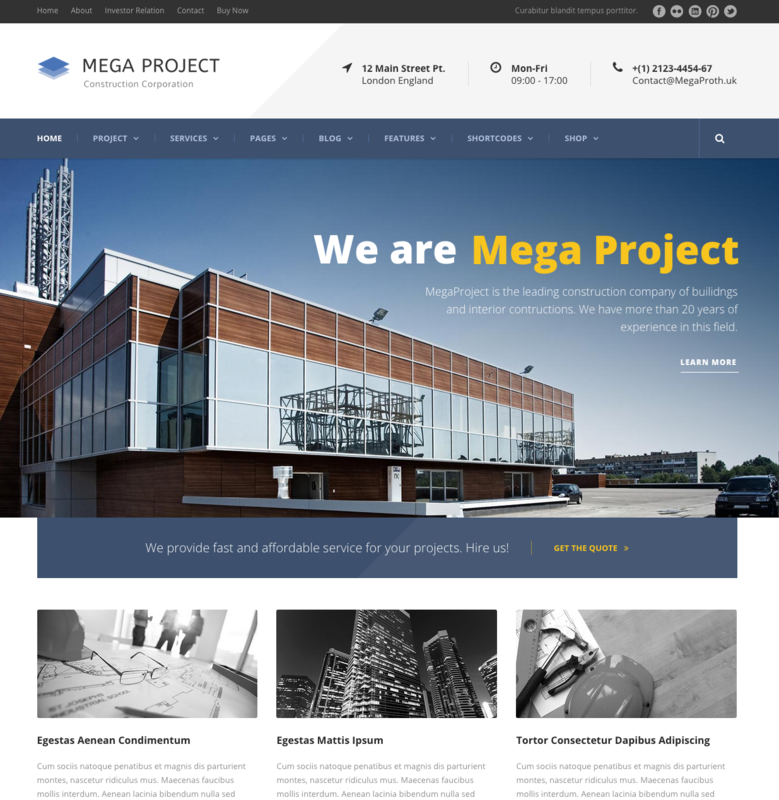 Mega Project – Construction Company WP Theme is a clean responsive WordPress theme designed for Construction, Building Website, Architecture, Engineering website, Construction Hub, Construction Store. 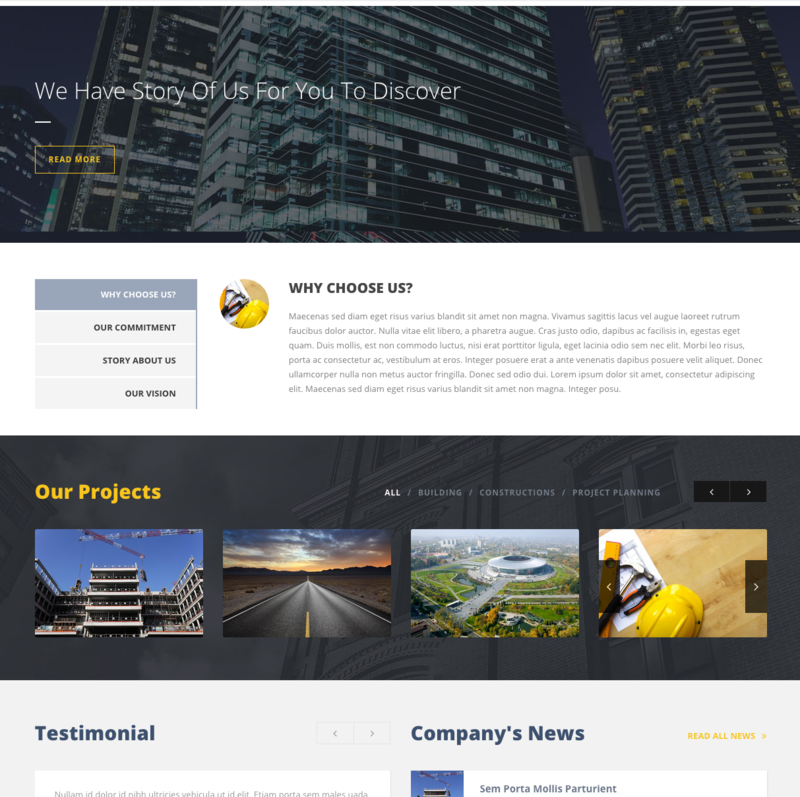 It comes with all features construction website needs such as project post type, banner slider, company’s news. This theme also supports WooCommerce plugin. Moreover, this theme includes our drag-drop page builder framework which is very famous and being used by thousands websites.